Luxury car owners invest in far more than just a ride to get from one place to another. They are investing in performance, quality and streamlined looks and speed. As we begin the new year, we wanted to share some of our top luxury vehicles for 2018. Are you are looking for a premium experience? When driving, you want a comfortable interior and excellent safety features. Therefore you will want to check out the top luxury vehicles for 2018. on the list and have one transported to your door this year. The new Porsche Panamera is a car that has excellent on road performance and ranks at the top of the list. With up to 21 city miles and 28 highway miles per gallon, drivers will enjoy the fuel economy of this powerful luxury car. 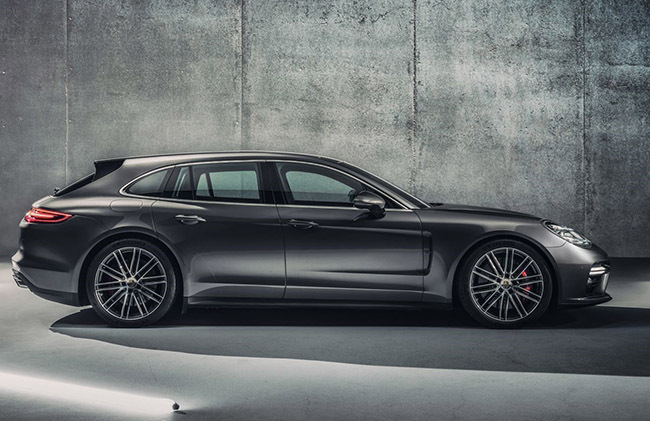 Starting at just $85,000, you’ll love the sleek style and power available in the new 2018 Porsche Panamera. When you want a sporty vehicle that manifests luxury from bumper to bumper, the new 2018 Jaguar XJ is the automobile for you. With a power filled engine and precise road handling, this car is not only sleek but it’s one of the most sophisticated on the road today. Plus the car seats five comfortably and has a large 10-inch touch screen for on screen music and entertainment. The 2018 model has a new, updated trim as well as a driver monitor and lane keeping assistant to alert the driver if they happen to drift out of their lane. In addition, drivers can get up to 18 miles per gallon in the city and 27 on the highway. Manufacturer’s suggested retail price starts at just $75,400. The incredible 2018 BMW 6 offers several engine varieties, all packed with supreme power and it has a beautiful, luxurious interior that ensures a comfortable ride. Although available in a 4 door only this year, the luxury BMW 6 offers outstanding stereo sound and a very user-friendly infotainment system. As a result, this high-end feature has been recognized as one of the easiest systems to use. Users can sync their iPhone via the Apple Car Play to enjoy a wide array of music and video during their drive. Plus the system also features a one of a kind 360-degree surround camera system and many other connected features. The rear seats are a little small, but the power and luxury packed in this car greatly outweigh the seating capability. You can expect to travel at least 20 miles per gallon in the city and up to 29 on the highway in this luxurious ride. The 2018 Lincoln Continental continues a long line of luxury for this manufacturer. One of the leaders in luxury cars has again shown the world that they can still compete with the rest for a comfortable ride with roomy seating, turbocharged engines and a price that can compete with others for affordability in a luxury car with a price that is lower than many rivals. On average, the new Lincoln Continental will get 18 city miles per gallon and 27 highway miles. The 2018 model doesn’t have any new upgrades from the 2017 model. But it does very well to continue to the level of luxury that Lincoln buyers have come to expect from this manufacturer over the years. Get ready to be impressed with the new 2018 Audi A7. This is a technology filled luxury sedan than squeals with powerful engines and an above rated fuel economy. It’s one of the few luxury models this year to have ample cargo space. It delivers a comfortable ride to passengers, although the sloping roof in the back seat means that taller passengers may want to sit in the front. On average, the 2018 Audi A7 gets 20 city miles and 29 highway miles and has a starting price of just under $70,000. Did you enjoy reading about the top luxury vehicles for 2018? Maybe you are ready to own your own luxury sedan. Let us know to help you find that perfect car and make your dreams come true. Stop by again and follow this popular luxury blog.